Andy Murray has appeared to step up his recovery from a hip operation after sharing a video of him hitting a tennis ball. Andy Murray was once a regular on the courts of Perth Lawn Tennis Club, the oldest tennis club in the world – and now two local youngsters are aiming to follow in his footsteps. Ambitious plans to turn Baxter Park into Dundee’s premier destination for tennis have been revealed. An incredible £540,000 was raised for Maggie's at a public auction at the conclusion of the popular Penguin Parade. A whopping £540,000 has been raised for Ninewells-based charity Maggie’s Dundee after 82 specially designed penguin statues were sold off at the V&A. A Dundee jewellery artist who creates bespoke pieces of wearable art has crafted a pair of earrings for tennis coach Judy Murray. 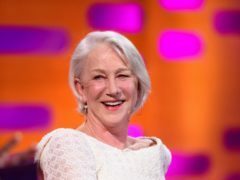 Dame Helen Mirren and James Corden attempt to swat away mosquitoes in a new video aimed at fighting malaria.